Welcoming Rohini Priya das Back to Toronto! ~ The Toronto Hare Krishna Temple! Welcoming Rohini Priya das Back to Toronto! The Toronto Hare Krishna Temple is excited to announce that HG Rohini Priya das will be back in the Greater Toronto Area (GTA) from October 2nd to 6th! He will facilitating programs all around the GTA, including the Sunday Feast discourse on Sunday, October 4, 2015. His Grace Rohini Priya Das Prabhu graduated as a doctor of Medicine from Mumbai university but decided to dedicate his life in the service of Lord Krishna. He is a senior brahmachari (monk) at ISKCON's Sri Radha Gopinath mandir at Chowpatty,Mumbai,India. 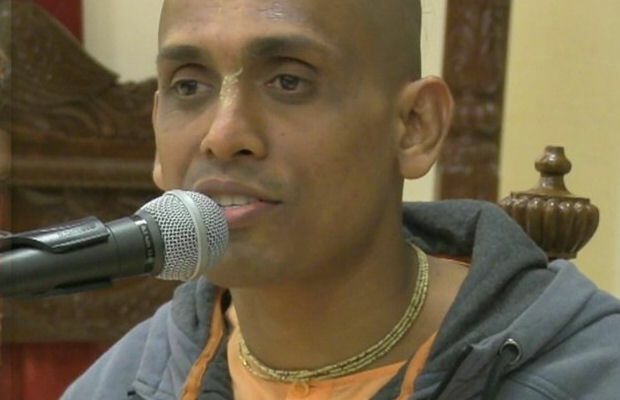 He is currently serving as the Vice President at ISKCON Chowpatty in Mumbai. For the last 19 years he has not only been practicing Krishna Conciousness but has been actively distributing the message of Bhagavad Gita to thousands of Engineering , Medical students and other professionals all over India.